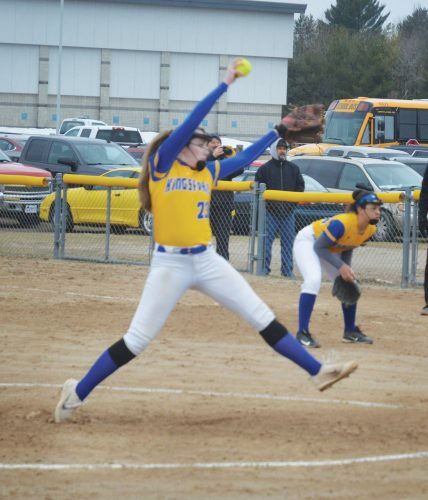 KINGSFORD — A halftime adjustment kept Kingsford’s offense off of Three Lakes’ back in the Bluejays’ 4-2 win on Thursday. The Flivvers (2-4) found two goals from Ben Backlund in the first half but were shut out in the second half after Three Lakes moved a player from the midfield to the defensive row. The move essentially put a player in the spaces Backlund exploited in the first half. As a result, through balls to Backlund were diverted away from the middle of the field. Many of Kingsford’s chances in the second half came on weak off-balance kicks. 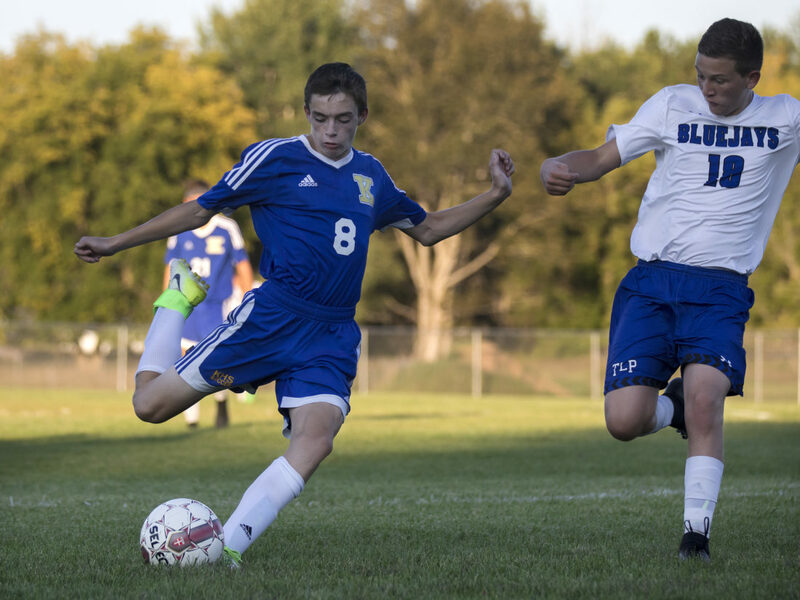 Kingsford took the lead in the first half on Backlund’s header from a corner kick by Kobe Gordon. The corner came when Backlund deflected a pass and a defender kicked the ball out of bounds for a corner kick. About 10 minutes later, Backlund forced a turnover, passed back to Gordon, who then found Backlund through three defenders on a pass and Backlund got off a kick as he fell away. The goal found the back of the net and sent Three Lakes reeling. 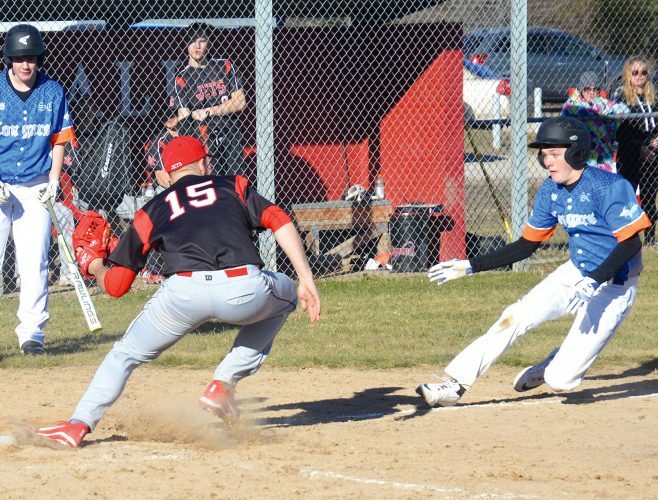 Then the Bluejays (5-1-1) found a foothold with the leg of Andrew Gill. Gill got a goal back off a Kingsford turnover. Three Lakes took advantage of more Kingsford miscues as Tony Gutierrez forced a turnover and scored the tying goal. Gill scored again about 10 minutes into the second half. Three minutes later, Carlos Gutierrez added the Bluejays’ fourth goal. The Bluejays also moved speedy defender Wangai Karianjahi from the outside to the inside in the second half, another adjustment to help shut down Backlund. Gordon said his young team’s passing isn’t on point yet. Bean said it looked like the Flivvers got tired through the second half.